Jennie Rosenthal was born in Cincinnati, Ohio, in 1857 to German-Jewish immigrant parents, Samson Rosenthal and Jennie Hess. At an early age, she took an interest in music and the liberal arts. Jennie Rosenthal moved to New York as a young adult, and married Herman Ehrman in 1881. Two years later, in 1883, the Ehrmans settled in San Francisco. Jennie taught in the Sunday school of Congregation Emanu-El and worked as an instructor of piano and literature. She was named an honorary member of the Pianists Club, directed by noted pianist and teacher Robert Tolmie. Herman Ehrman was made Sexton of Congregation Emanu-El in 1900. He held the post for two years before dying suddenly at age 52 in 1902. Jennie was left to raise their three daughters, two of whom became accomplished musicians in their own right. 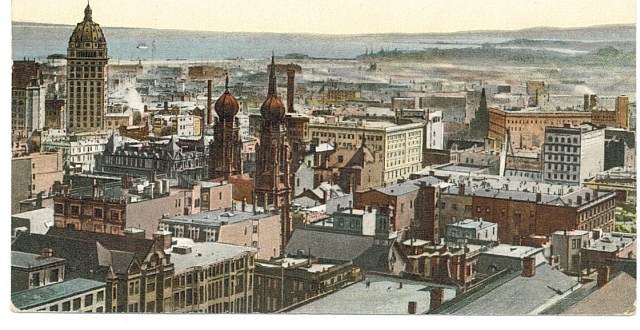 Jennie Rosenthal married Herman Ehrman, a native of Bavaria, in Albany, New York, in 1881. Together, they had 3 daughters: Violet, Theresa, and Sarah. Their first daughter, Violet, was born in 1882. Theresa was born in 1884. She was a successful music teacher and friend of great musicians in her day. 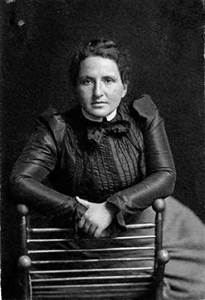 She was a member of Gertrude Stein’s circle in Paris, where she studied from 1904 to 1905. Sarah Ehrman was born in 1887. She was a talented violinist, and was married to Lawrence H. Strauss, a gifted concert tenor and grandson of Adolphus Hollub, a San Francisco pioneer who served as president of Congregation Emanu-El from 1867 to 1871. Herman Ehman died in 1902. 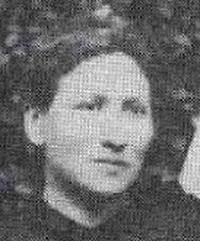 Jennie Rosenthal Ehrman died in 1910. She was just 53. Norton B. Stern, “The Herman Ehrman Family, San Francisco, California,” Western States Jewish History 41/1. Jonathan Friedmann is curator of this Jennie Rosenthal Ehrman exhibit. The University Medical College graduated Miss Sutro, daughter of Adolph Sutro, Esq., our well known Jewish millionaire. On Saturday evening a very elegant dinner was given at the Maison Doree by Adolph Sutro in honor of his daughter, who has just graduated in the class of 1881, University of California, medical department. The guests numbered fifteen, all being gentlemen, with the exception of one lady, who represented Miss Sutro, who was unable to attend. The table was most beautifully decorated with flowers and massive confectionery pieces. The menu was printed on white satin and ornamented with the owl on a branch, and the cords then encircled with vines of smilax and placed on easels in front of each plate. The banquet lasted from 7 till after 11 o’clock. David Stern: Partner in Levi Strauss & Co.